In the battle to regain control over unhealthy weight problems, most people feel they are constantly losing. Fat Loss Ignition turns new weight loss programs on their head by approaching the body from a new perspective: personal and scientific practical advice. Most of our recipes take about 10 minutes to prepare and combine healthy carbohydrates, proteins, and fats to make satisfying and really tasty meals. No one is alone when it comes to struggling with the failure of yet another weight loss program. Thousands of people try weight loss miracle programs every year. While some are successful at using a fierce iron will to make it through hungry days with only unsavory food to eat, most find themselves unable to persist. No need to worry about it anymore. "Weight loss problems stem from this feeling that we have to suffer to lose weight," says Arnel Ricafranca, originator of Fat Loss Ignition, "When a person suffer, the body suffers, and then it reacts accordingly." His unique program is designed with the proper function of the body in mind. Fat storage is dictated by hormones, so getting a grip on how to control those hormones to one's benefit is the key to using rather than storing the food he/she eats. What a great news! If that sounds complicated, think again. Ricafranca hopes to show people that what to eat, how often should one eat, and how to use the body can all be positive ways to change hormonal reactions to food. "Processed foods provoke a storage reaction in the body. There are plenty of delicious foods that are also healthy, it's learning how to shop for and prepare those foods to one's advantage, that's what we want to teach people." 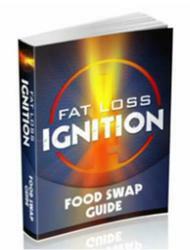 Which is just what he does with the Fat Loss Ignition program. The entire program is build around the simple idea that what to eat and how often should one exercise is key to weight loss, something that most people know but can't seem to master. Fat Loss Ignition is the tool to mastery of proper diet and exercise, without feeling like one has to deny themselves delicious foods. "Most of our recipes take about 10 minutes to prepare and combine healthy carbohydrates, proteins, and fats to make satisfying and really tasty meals," Ricafranca claims, "You won't suffer and your energy levels will spike, giving you the boost to get into some simple exercise routines, things you can do anywhere without fancy machines." Ricafranca challenges people to watch their video to the end, and to check out the website. He's predicting a weight loss win. For further information, please contact: Arnel Ricafranca, Creator, 201-298-3540, info(at)fatlossignition(dot)com, or visit http://www.fatlossignition.com.